Pressotherapy eases poor circulation, tired legs and fluid retention and is a good all round relaxer and re-generator of the Lymph and Venous systems in the Body. 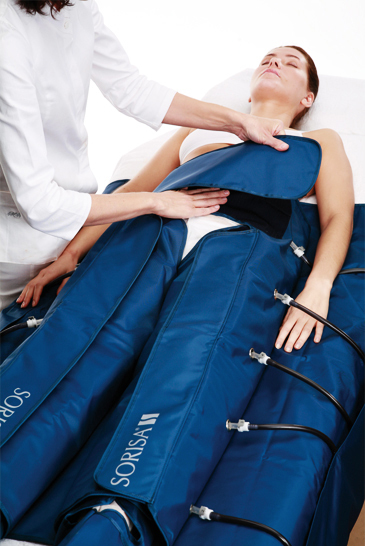 Get snugly wrapped up into your half body suit and let the Pressor machine drain away life’s stresses and strains. Safely treats Cellulite, Tired Legs/Drainage, Body Contouring and Fluid Retention. The Pressor machine gently applies even pressure in a upward movement from the toes to the abdomen a totally relaxing treatment.